It’s safe to say that buffalo chicken is…well, fantastic. The star of your football tailgate, the pizza party game changer, the tortilla chip tantalizer. Need I say more? 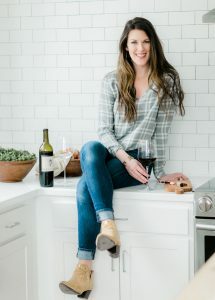 I think every kitchen has its own celebrities. Those people who light up your world when you cook for them. The other night, while mopping my floor – LOL, I was thinking of creating colossal sandwiches named after all of my “kitchen celebrities”. A fully loaded Rueben for daddy with all the fixins, a giant patty melt with ooey-gooey cheese and bacon for my brother bear, an elevated open face turkey with caramelized pear and walnut chutney for mamasita, and of course, a classic buffalo chicken masterpiece for my boyfriend, Jared – AKA JMan – AKA Bubba. I’m not sure how or when I started calling him Bubba, but that’s just the way it is. I’ll spare you the annoying rant of how fantastic, funny, and charming (and handsome) his is. Oops, did I say that on the internet? 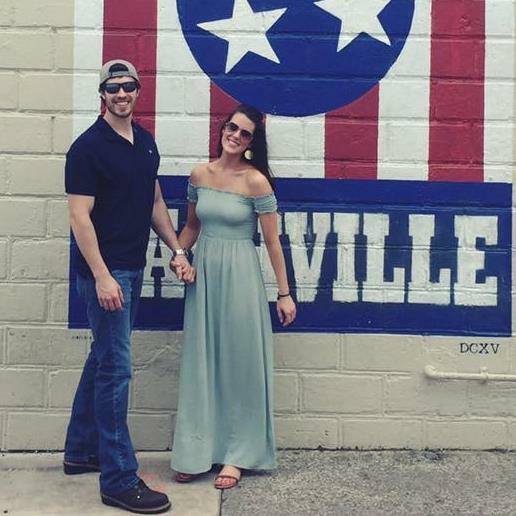 I’ve told you about the other members of my family, so, it is only fitting that I tell you about JMan! If you’re anything like me, you’ll understand that constant positivity can be draining. I’m naturally a very bubbly person and I LOVE to make others smile and to encourage them. Sometimes, to be bright and sunny, you gotta have a little light. Well, I have one giant 6’3″ ray of sunshine making my days brighter and I hope that will shine down on all of you! He’s my biggest cheerleader and is always the one who encourages me when I have my (sometimes frequent) throwing in the towel moments. He’s also a world-class hugger, the Miss AK Editor in Chief, and most importantly my Head Recipe Taste Tester. Anyway…if I can tell you one thing, it is that the man can EAT. Oh, and he also loves buffalo chicken. I’m always trying to put a spin on his favorite dishes to make them more nutritious. We’re both really into fitness, so thankfully he’s always game for a healthy meal. 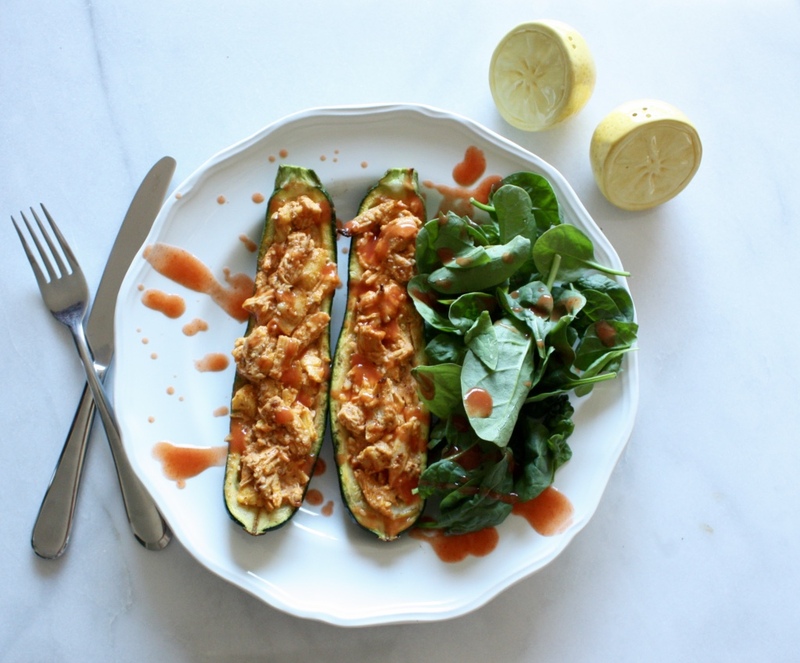 Buffalo chicken has always been sort of an untouchable for me, honestly. I mean, how can you make it rich, melty and find a vehicle to contain it that isn’t fried or flour? 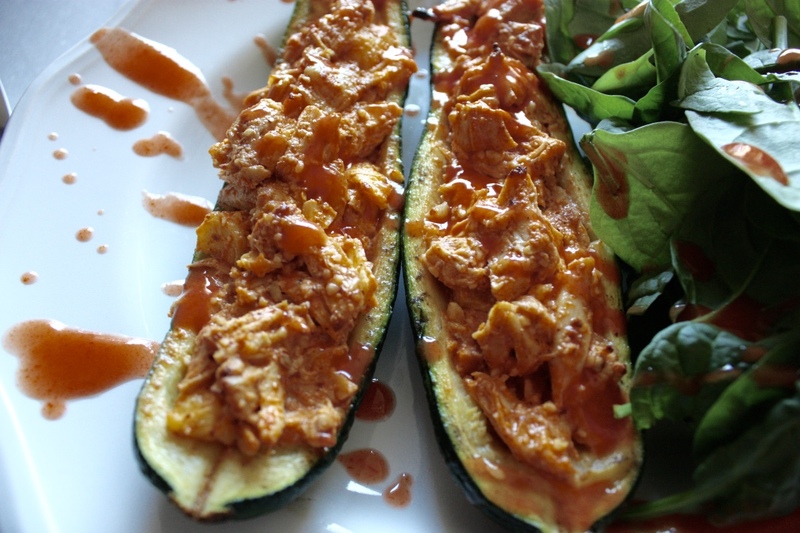 Here’s how: Buffalo Chicken Zucchini Boats. EUREKA! 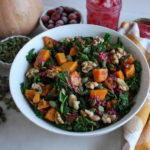 I came across this recipe by Maria with Maria Makes – one of my favorite bloggers who specializes in gardening, recipes & some awesome DIY projects (check her out)! This recipe is chock full of protein between the chicken and almonds, and healthy fats from your whole homemade mayo. Oh, and GAME CHANGER, there is actually zucchini in the buff chick mixture. On the mayo: I really recommend making your own mayo for this dish. Yes, it takes a few extra minutes and is slightly messy, but it is well worth your time. Even the “olive oil” mayonnaise at the store still contains chemicals and additives. Since you are using whole and fresh ingredients this mayo will not keep longer than the expiration date on the eggs you use. I’ll post the version I use in the recipe print out below, with directions! You’ll start here by combining your spice rub. Yep, this stuff is pretty potent. Cut your chicken into about 2oz pieces, trim the fat, pat dry and rub with your spice mix. Place them on a baking sheet covered with cooking spray. Bake them off for about 15 mins, or until juices run clear and there is no longer any pink in the middle. Once finished, place your chicken in a medium mixing bowl to cool. Wash and dry your zucchini. Slice evenly in half and sprinkle with salt and pepper. When your chicken is finished, pop those into the over for 15 mins to loosen the center for scooping. Allow them to cool for a few while you pull the chicken. 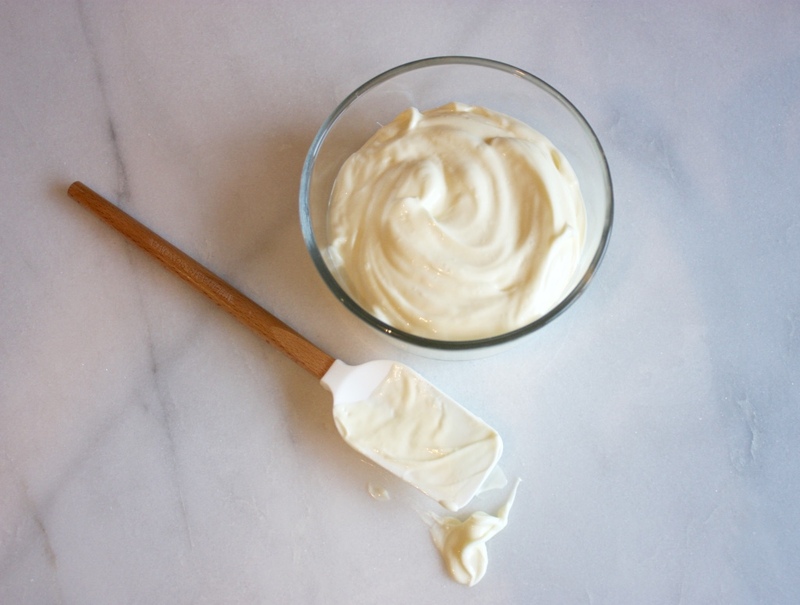 If you haven’t already made your mayo, this is a great time to do it! Shred your chicken. I like to do this with my hands or a fork! Then, scoop out the inside of your zucchini. 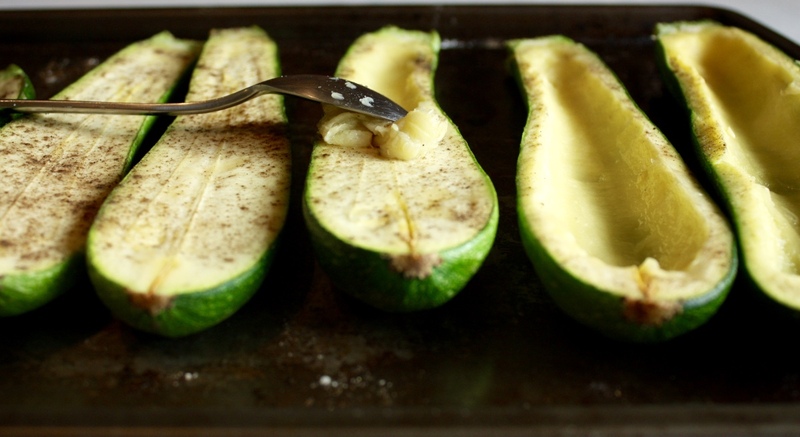 Place the zucchini innards into a fine mesh strainer over a bowl and press down to draw out some of the liquid. 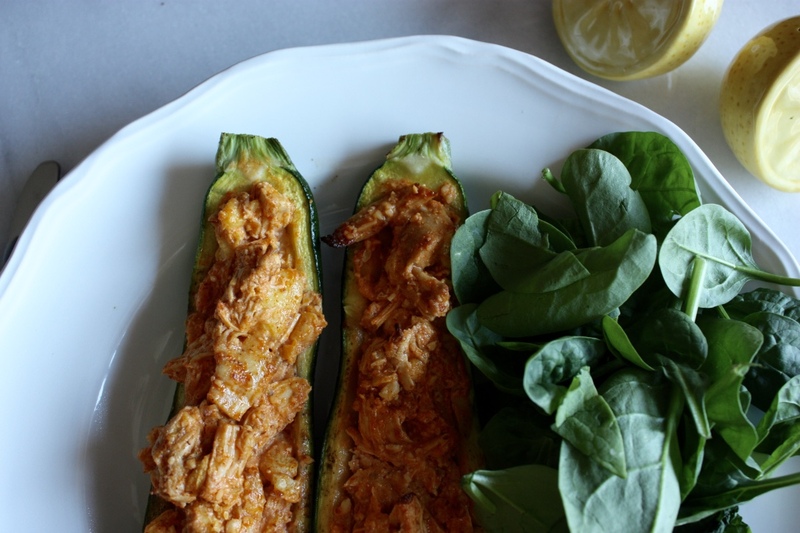 Give the zucchini innards a rough chop and add to the chicken. Add almond meal, mayo, and hot sauce. Give it a big ole’ stir. 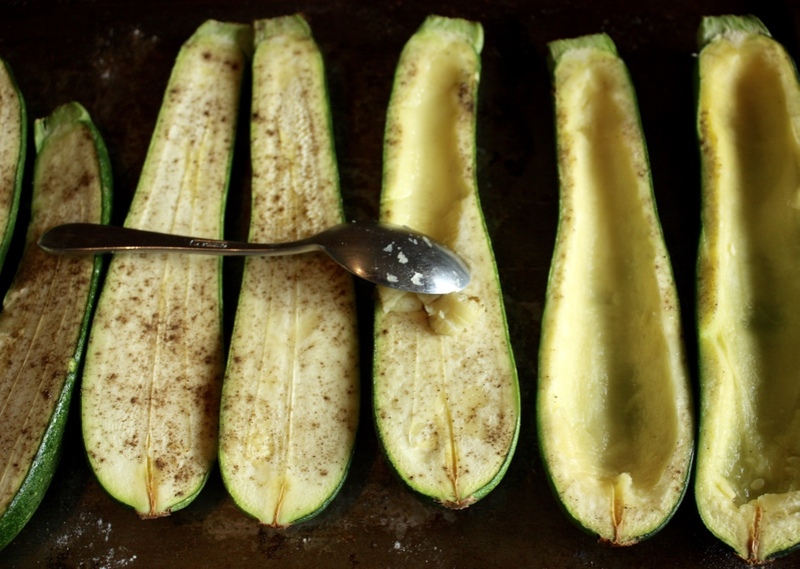 Scoop equal amounts of the mixture into your zucchini boats, and place in the oven for 10-15 minutes. Put the oven on low broil & cook for 5 minutes just so you get a nice little crisp on the top. Salivate, drool, devour. You’re welcome. I love this recipe because it is totally a one pan wonder. It seems like it is time-consuming, but there’s not a whole lot of active time, just time taking the components in and out of the oven. 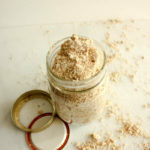 To make everything easier on myself, I like to make my mayo a night or two ahead of time, and double check that I have enough almond meal pre-made (if you just buy your almond meal you won’t need to worry about this). Combine your spice rub and work it into the chicken. 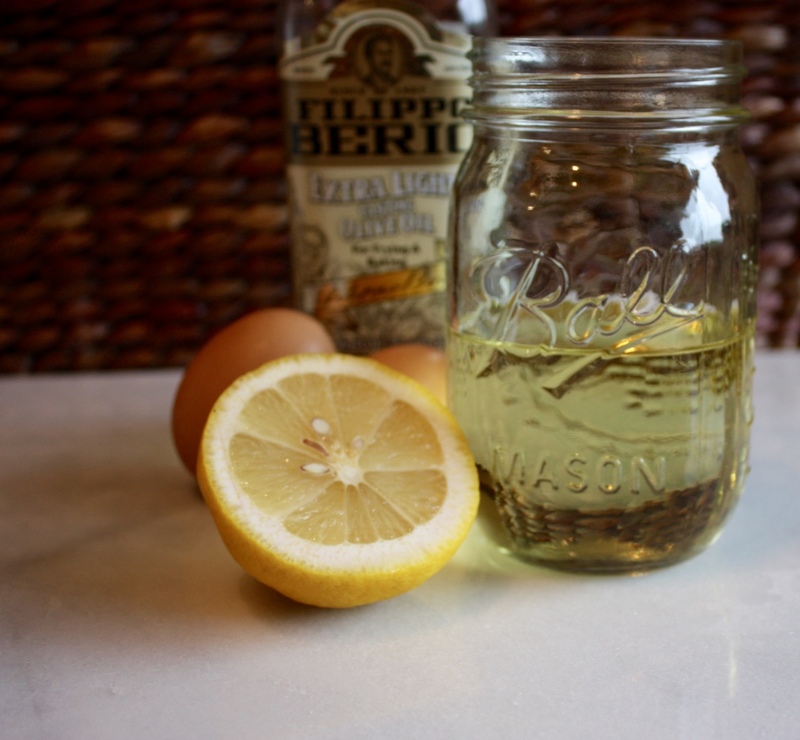 Place eggs, lemon juice and salt into a blender. This will emulsify and thicken like magic and voila! 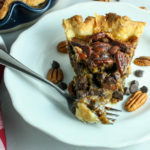 I discovered this recipe on Maria Makes. Link is here. She’s a genius. omigosh- these look and sound amazing!! 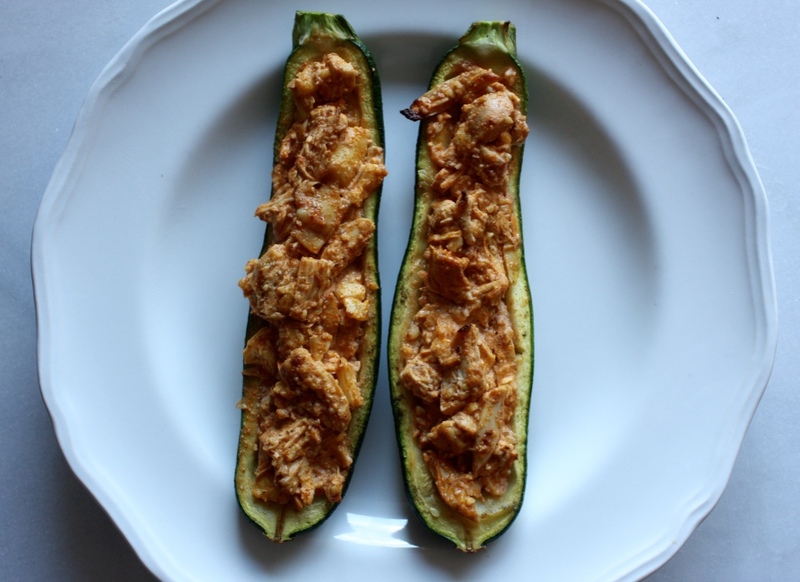 zucchini is a summer fave of mine- love the zucchini boat idea girl! Okay – this looks AMAZING! I need to make these soon 🙂 Thanks for sharing. I promise they aren’t super hot! You could always dial down on the chicken rub, too. 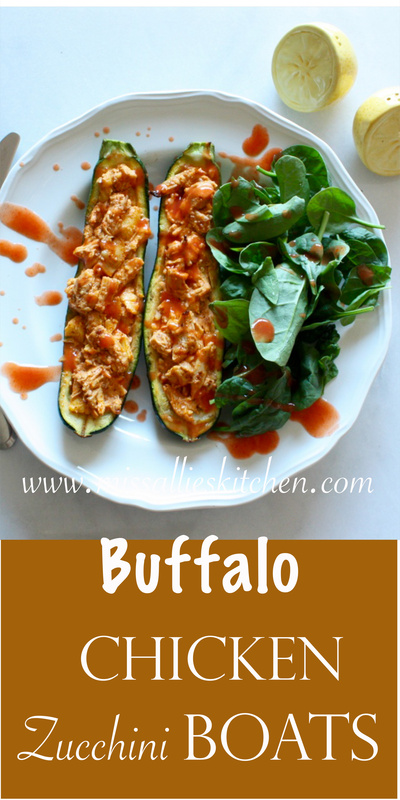 They are really more buffalo-y if that makes sense- haha! And that is so sweet!!!!! 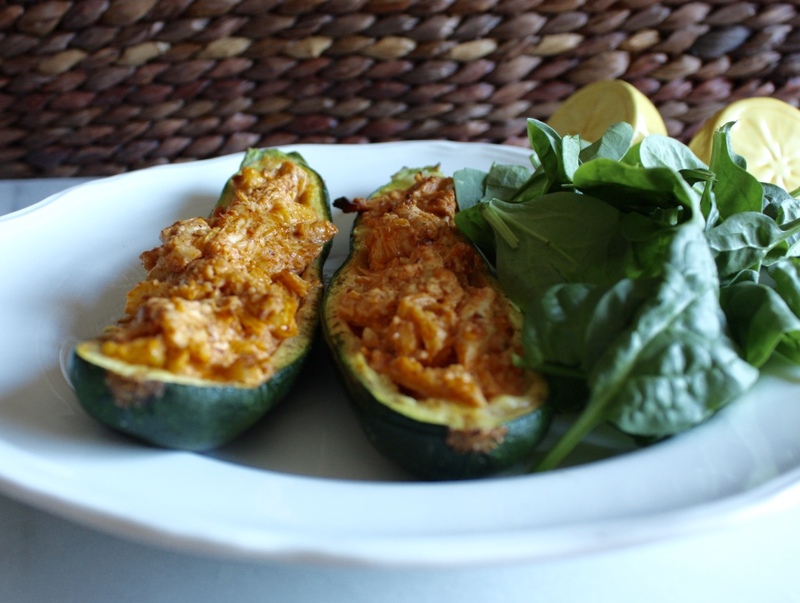 Fantastic healthier alternative! My brother is a HUGE buffalo chicken (or anything!) fan! It is SOO good, right?! Thanks for linking to my recipe 🙂 Now I’m hungry for them!!! Thanks for coming up with this genius idea!!!! We love the recipe so much! I could never take credit for it tho, you go girl!